Yes, this holiday is so rare, so special, that it won't happen again for another 70,000 years. Really. 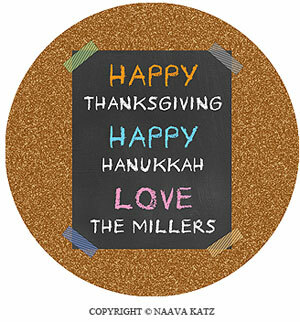 On November 28, 2013, the first day/second night of Hanukkah will fall on Thanksgiving. This once in a lifetime event is something for everyone to get excited about! Photos by Macey J. Foronda, via Buzz Feed. Download recipes here! We think that nothing sounds better than the Challah-Apple Stuffing. YUM! More Than Paper can't wait to celebrate this fun once in a lifetime holiday and we have some great products that you won't find many other places. These personalized gift stickers would look adorable on an invitation to join your table for the holiday. 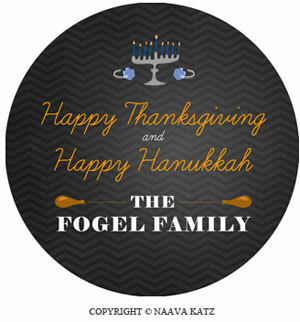 Or choose these personalized Thanksgiving/Hanukkah gift stickers. You can use them on treat bags for the kids, too. 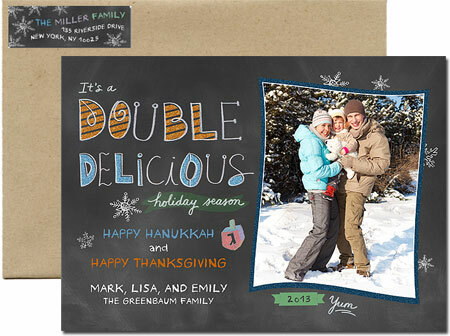 Get a jump start on your holiday cards with this adorable "double delicious" chalkboard photo card by Naavale. They have a great selection of cards for Thanksgivukkah. We love this Driedels and Drumsticks design, too! 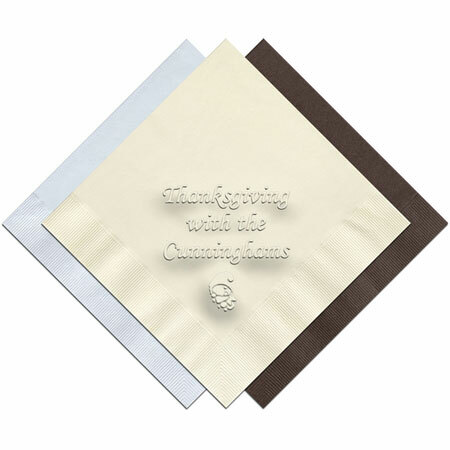 We also have great Thanksgiving entertaining items, like these personalized beverage napkins. Check out all of our great items for Thanksgiving to celebrate the most thankful time of the year, by visiting here! So how will you be celebrating this once in a lifetime holiday, if at all? Or how will you celebrate your Thanksgiving? We'd love to know! Share your plans by commenting below. Don't forget to take a plate of your food and hastag #thanksgivukkah to join in with millions of others on this special day! Wow! The blog is really very informative. Thank you! The tradition of Hanukkah helps to build a strong bonding and relations between family and friends. 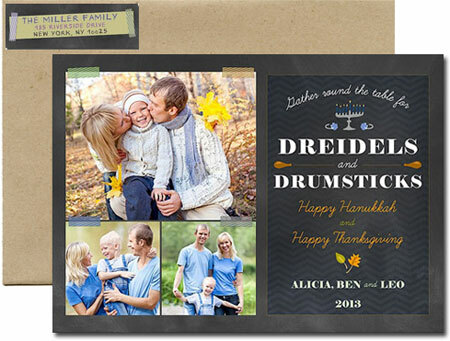 In fact, you can also personalize Hanukkah photo cards, and present to your loved one. Few days back, a close relative of mine presented a personalized Hanukkah card to her friend which she bought from an online shop named as, Spark & Spark.